Barren Island volcano, only active volcano in india, located 134 km northeast of Port Blair, the capital of the Andaman and Nicobar islands. The volcano is associated with the subduction of the Indian Plate beneath the Burmese Plate along the Andaman Trench. The first recorded eruption of the volcano dates back to 1787. Since then, the volcano has erupted more than ten times, with the most recent one which started in September 2010 and continued through January 2011. 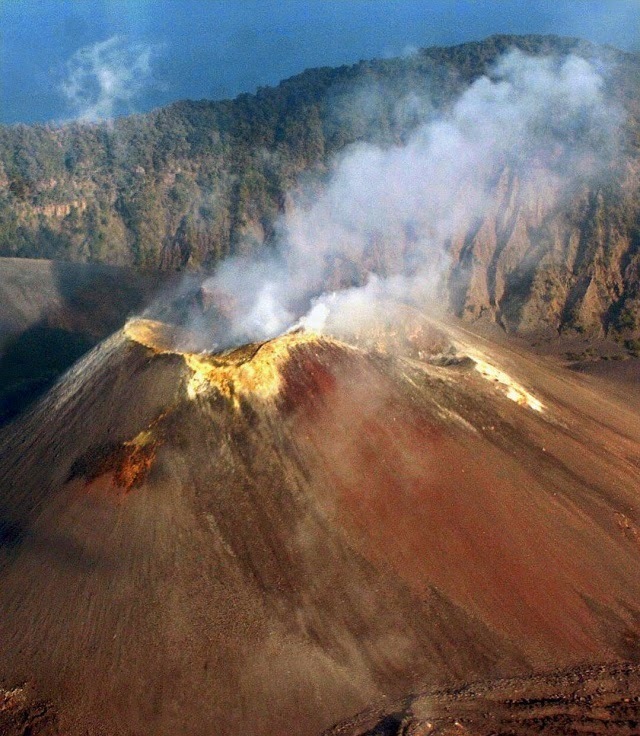 Volcano remained dormant for nearly one and half century since 1852. This island is about 3 kms in diameter, and has a big crater of the volcano, about half kilometer away from the shore. The island can be visited by chartered boats only with the permission of Forest Department.